No matter how serious, every movie is made with the assumption that fans will be looking at the exact characters, objects, or action that the director intends. But sometimes, people wind up watching anything but. Whether it's overzealous extras, subtle jokes, or mistakes from the crew, watching the background of a movie scene can be twice as much fun. Here are Screen Rant's 10 Hilarious Details Hidden in Popular Movies. In a perfect world, movie audiences would never even notice a background actor, since they should be invisible - if they're doing their job. The Godfather is hailed as one of cinema's greatest films, but even it falls victim to one hilarious blown take, thanks to an extra who steps into frame well ahead of her mark. Once you see her pop into view and quickly sneak back out, you'll notice it every time. Peter Jackson's second Tolkien trilogy may star a Hobbit and a squad of Dwarves, but it's the Elves who show up to help save the day. With thousands and thousands of soldiers, no less. The Hobbit Trilogy took some flack for using too much CG, but that wasn't a problem for this scene: every single one of the elves is given the exact same face, copied and pasted over and over again. 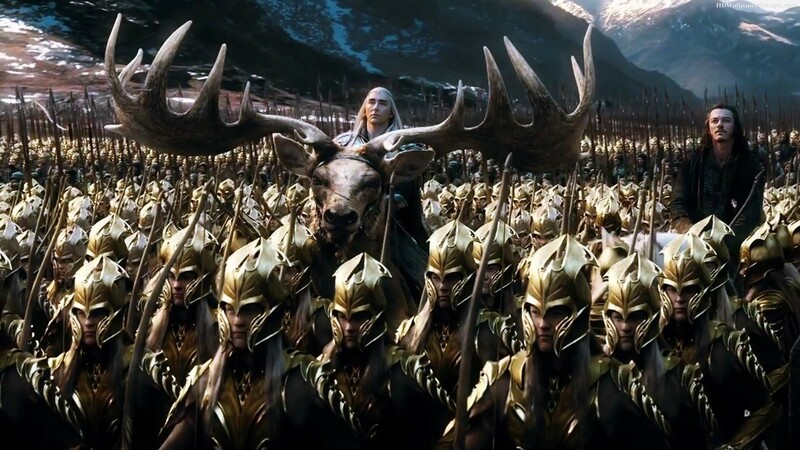 Unless elves have mastered cloning, it's one massive detail the effects team overlooked. Getting a city bus up to 50 miles per hour isn't easy in any situation, but threatening to blow it up did the job for Speed. 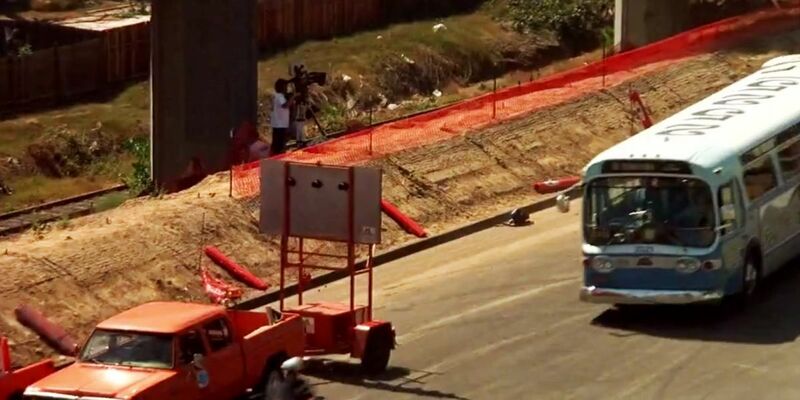 The action takes place on freeways, city streets, and even an airport, with the constant threat of an explosion keeping viewers' eyes stuck on the bus. It's a good thing, too - otherwise they might notice the cameraman filming the action, not even trying to stay hidden from prying eyes. 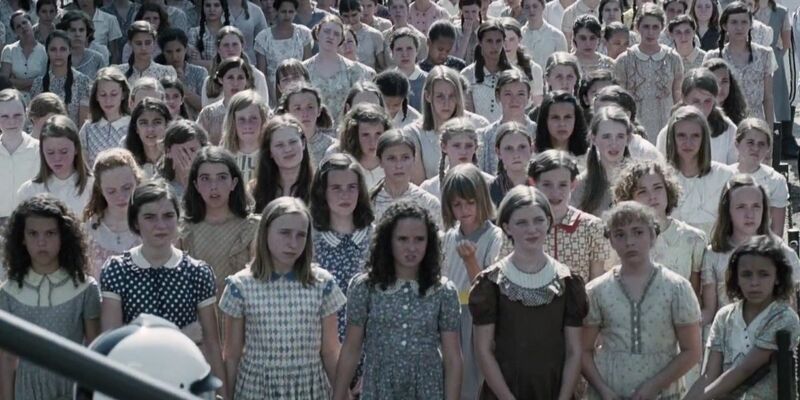 In the world of Panem, nothing is as important or terrifying as The Hunger Games. With each and every boy and girl of age eligible to be drafted into a battle to the death, the selection ceremony is tense, to say the least. But not for everyone, since one little girl in the crowd is apparently more interested in her fingernails than her life being on the line. Director Ridley Scott had to rely on computers to recreate Rome's massive Colosseum in Gladiator, along with the thousands of spectators sitting inside it. But background extras were also needed for closer scenes, which opened the door to some less-than-historic cameos. Like the audience member creeping over his fellow Romans to make sure he gets into the entire frame of the camera that... really isn't supposed to be there. Quentin Tarantino doesn't usually try to hide the movies and characters that influence him, and Death Proof is no exception. When the leading ladies are enjoying drinks and dancing before Kurt Russell's villain enters the picture, he's already been introduced... sort of. It's no surprise to learn that Russell's role as Jack Burton in Big Trouble in Little China is one of Tarantino's favorites - a fact made clear by the hero's tanktop hanging from the bar's wall. The first Star Wars prequel may get some of the harshest criticism of the series, but the tie-in video game has a lot more fans. Star Wars: Episode 1 Racer put players behind the controls of their very own pod racer - a thrill that was too good for even characters in the movie's universe to resist. 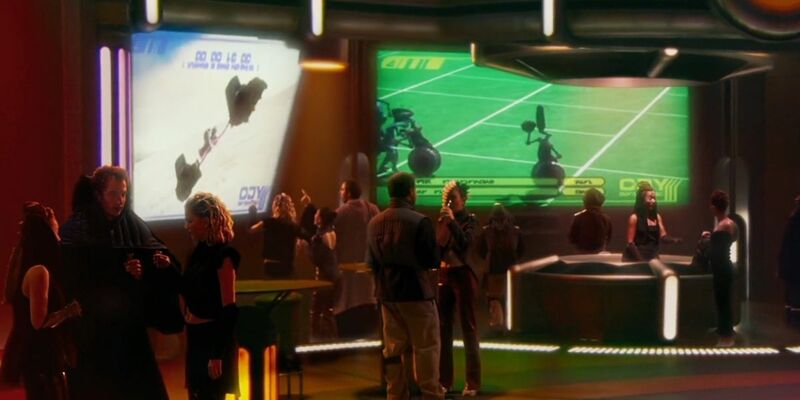 When Anakin and Obi-Wan head into a nightclub in Attack of the Clones, actual footage of the game is shown - apparently, it's just as much of a spectator sport as droid football. Most of the inside jokes and references in The LEGO Movie make sense once viewers realize they're watching a young boy playing with his father's carefully-constructed LEGO sets. But one joke managed to slip by plenty of fans. When the heroes first take a trip to Cloud Cuckoo Land, the random blend of toys, themes, and characters makes absolutely no sense whatsoever. It's never spelled out, but when the boy's father is revealed later in the movie, he points out the LEGO and toys his son is allowed to play with - a box of mismatched toys in a cardboard box, complete with a "Cloud Movers" logo. The only thing as famous as this James Bond movie's villain is his signature white cat. But even if Blofeld managed to keep his cool while his base was overrun, the cat was a different story. Apparently nobody thought about what would happen once an explosion was set off next to the animal, which means audiences can watch as the cat loses its mind in real time, forcing actor Donald Pleasence to keep it in a death grip just to get through the scene. There was one sequence in this spy thriller that no fan could ever forget, pitting star Colin Firth up against a church full of rampaging maniacs. The actor trained for months to be able to pull off most of his own stunts, and the frantic ballet of over the top violence is almost flawless. Until you notice the one background actor who is less than bloodthirsty, swinging a chair so gently he's barely breaking a sweat. Those are the jokes, easter eggs, and mistakes in movie backgrounds that caught our attention, but which ones did we miss? Let us know in the comments, and don't forget to subscribe to our channel for more videos like this one.